I have been working on Angular 5 to Angular 7 migration. From Angular 5 onwards, Rxjs 6.0 is used. 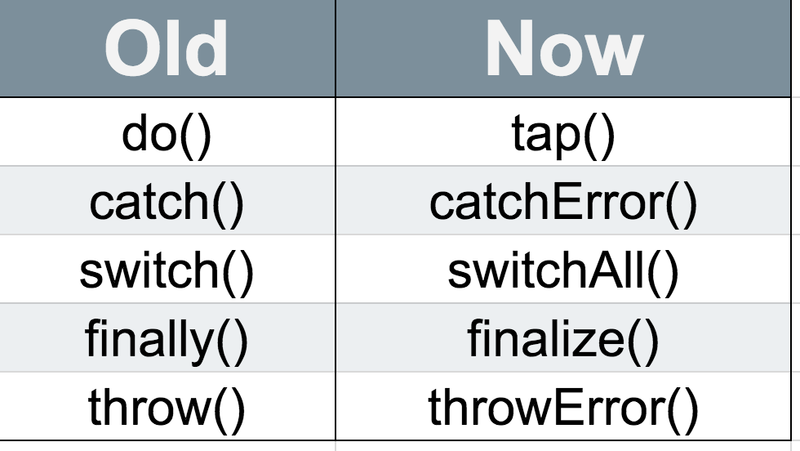 I would like to share the rxjs changes with you. If you are migrating a large project to Rxjs 6.0 then you just need to install rxjs-compat. It will take care of your old code. You don't have to change anything. Everything will work fine. Now Observable, Subject etc are imported directly from ‘rxjs’ and operators such as map, take are imported from ‘rxjs/operators’. The observable creation methods such as fromPromise, fromEvent are imported from ‘rxjs’. Now we use special pipe method on observable which takes the infinite number of arguments. These arguments are nothing but the operator functions.